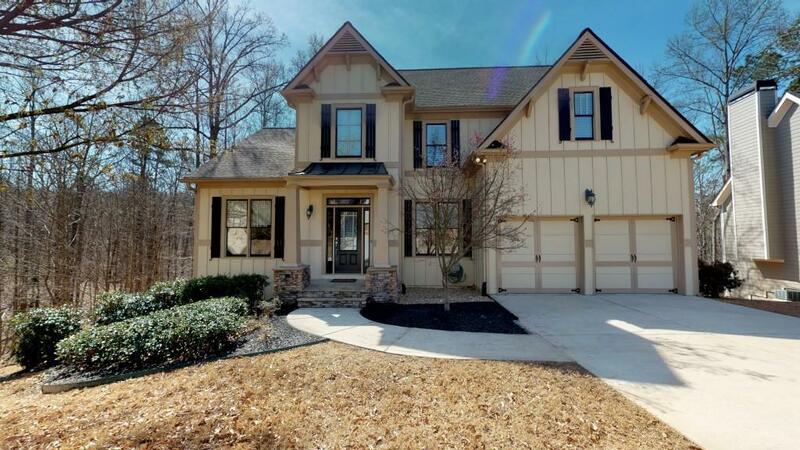 This beautiful home has a great open floor plan. 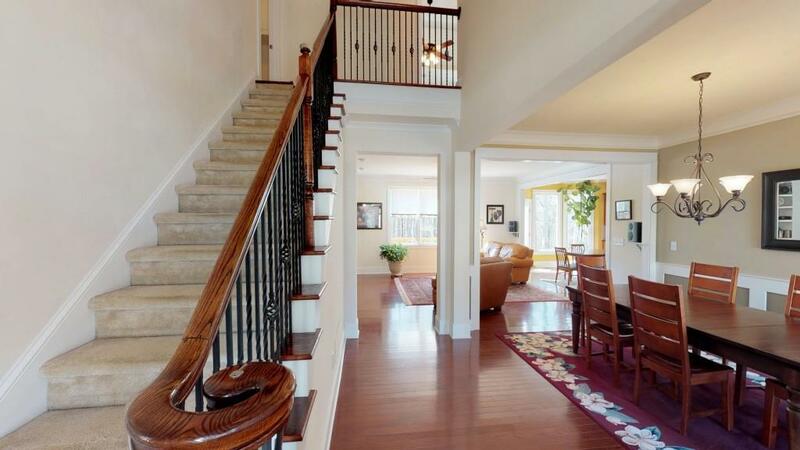 Step into the two story foyer with beautiful wrought iron spindles. 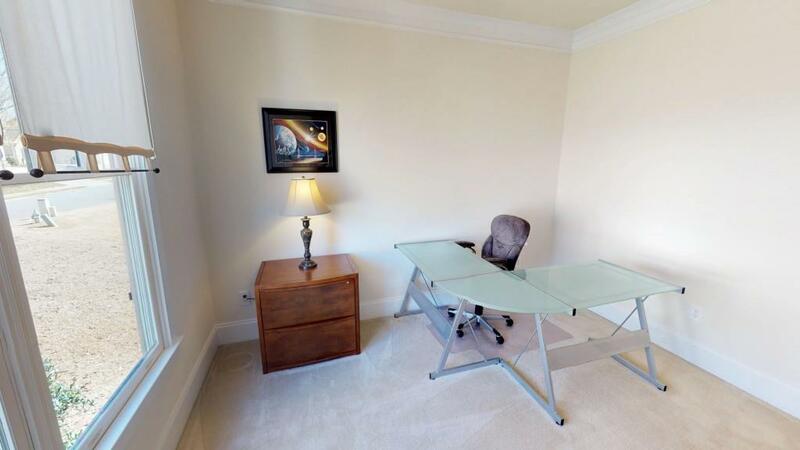 Spacious office off the foyer w/lots of natural light. Lovely stacked stone fireplace is the focal point of the family room. One bedroom & full bath on the main level. 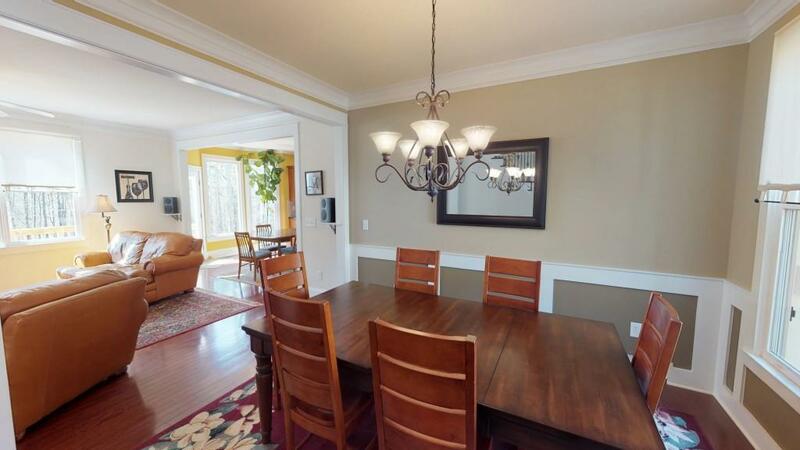 Kitchen features a gas stove, granite counters, stained cabinets & large pantry. Conveniently located upstairs laundry room. Master suite is spacious & offers a large bath with jetted tub, his/her sinks & separate shower. Walkout basement is stubbed & ready for drywall.